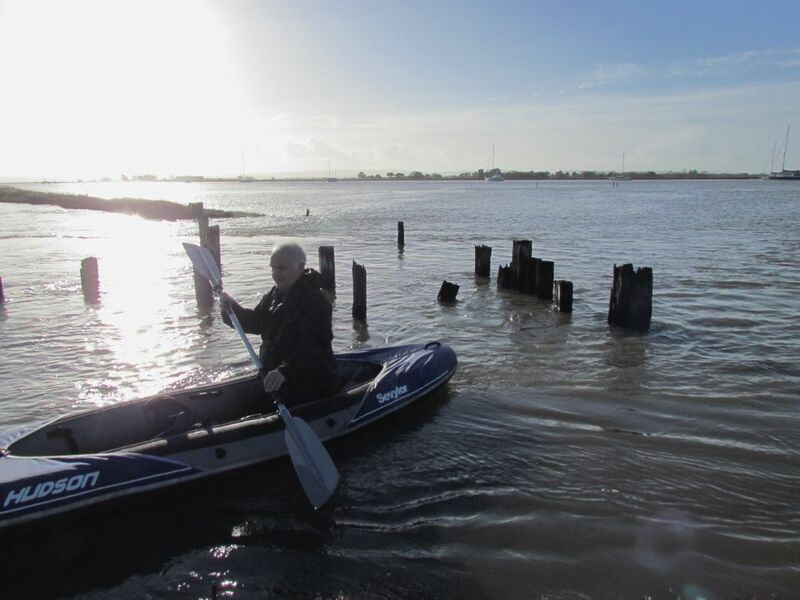 The sovereignty of the stormy weather released its grip yesterday for a few hours of sunshine when I was free to inspect my watery bounds after a winter lashing which began on December 23rd. 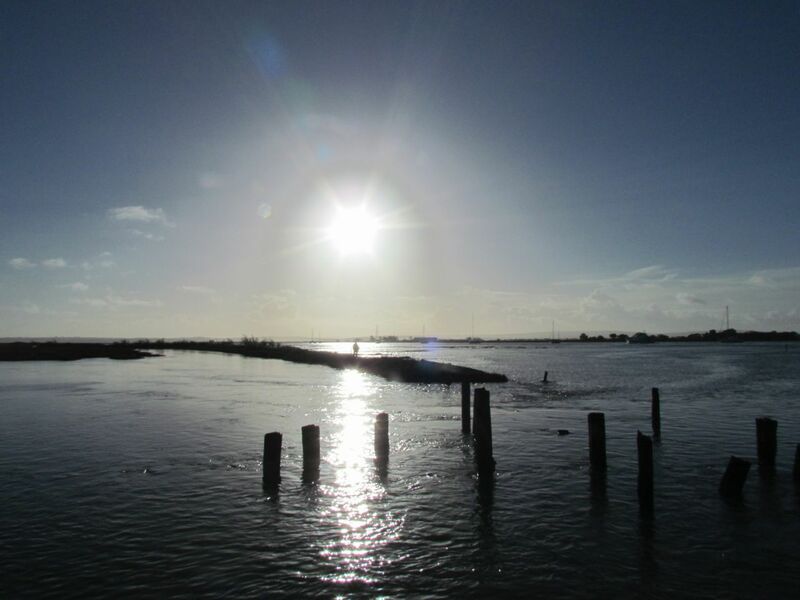 Winds and spring tides have returned today across the whole of southern England and beyond. 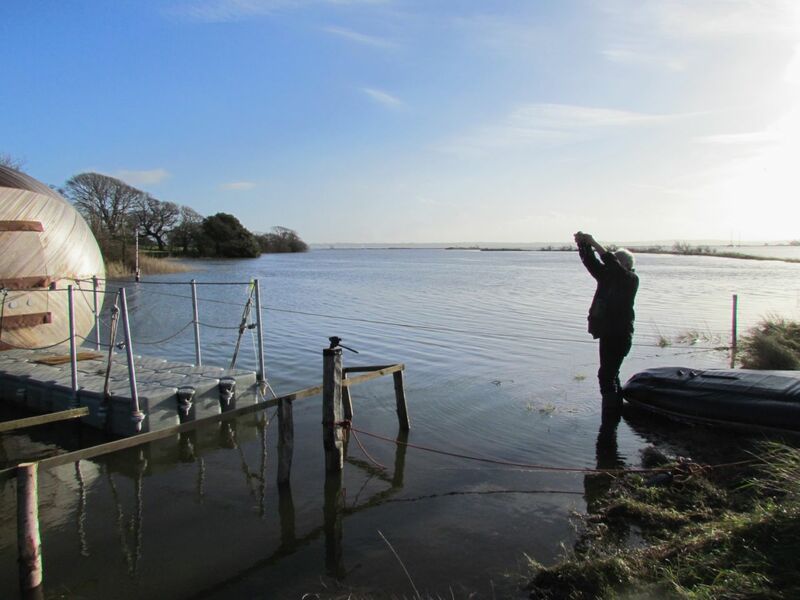 The Outer Bank camera was knocked out when the sea really rose (on a high spring tide) to the challenge of breaching its water resistant casing. I hope the SanDisc SDHC* will still hold on to its memories after being dried out. It has been an eventful time at the Egg since my last post. Solar power failed again and then when my batteries were finally recharged on a meagre diet of rare solar particles, storms knocked out electricity to the entire neighbourhood from about 11.30pm on December 23 until 8pm on Boxing Day, curtailing most activity and the reporting of it. Outdoor actions planned for New Years Day (the burning of a large blackthorn Egg) were also postponed by hail and a parallel failure of WIFI which lasted 48 hours. Backdated recollections and musings will be posted over the next few days. Happy New Year to everyone from the riverside at Exbury. *SanDisk say they designed the card to be very resilient and durable. It is shock proof, X-Ray proof, temperature proof, magnet proof, vibration proof and reassuringly I have read – waterproof.